In 2008, when Elizabeth was living in NYC, her friend Isis (in Australia), one evening e-mailed her some lyrics a friend of hers, Lloyd Christopher had written. 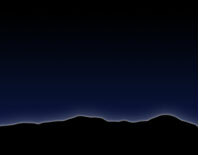 Having never written music before, Elizabeth took on the adventure, sat down at her piano and out came “Stars Aligning”. The song is available as a single on i-tunes for your enjoyment (or hear it as a sample below). As a bonus, whilst doing the song, Elizabeth accidently discovered that “Stars Aligning” works really well as a), driving music to sing along to, and b) as a soundtrack to personal photos on her computer! If you want to go down your own memory lane... feel free to download the song as a single from i-tunes and use it for your own enjoyment and soundtrack to all the wonderful people in your life! 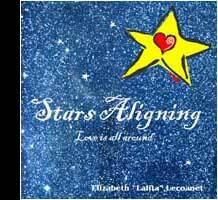 To purchase the song, please go to i-tunes and search for “Stars Aligning” Elizabeth “Lalita” Lecoanet. Other songs available with Elizabeth singing are: “Walla Walla” which she co-wrote with Sassy. Performed with the the band Bejwelled, Walla Walla is available on i-tunes and is very Australian and grounding!! Please visit iTunes and search Elizabeth Lecoanet to find both tracks.